Click here to contribute a news item. If you are looking for upcoming events, click here. 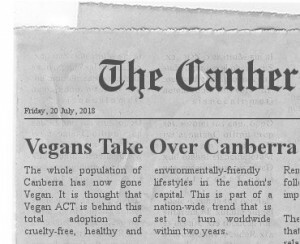 Follow Vegan ACT’s board Australian News on Pinterest. Follow Vegan ACT’s board International News on Pinterest.